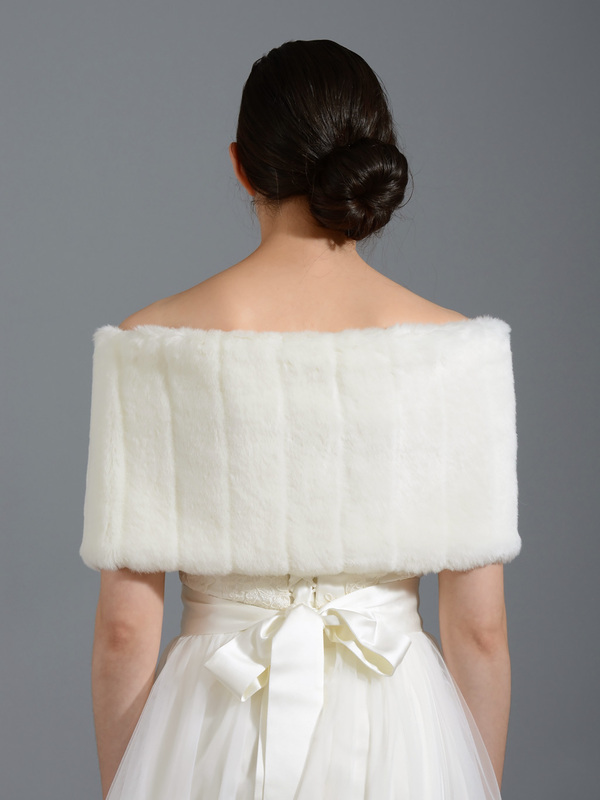 This is a beautiful faux fur bridal wrap shrug which is fully lined. Please note that rhinestone brooch is not included. This wrap can be worn many different ways. It's perfect for your wedding or other special occasions. Available in white color. 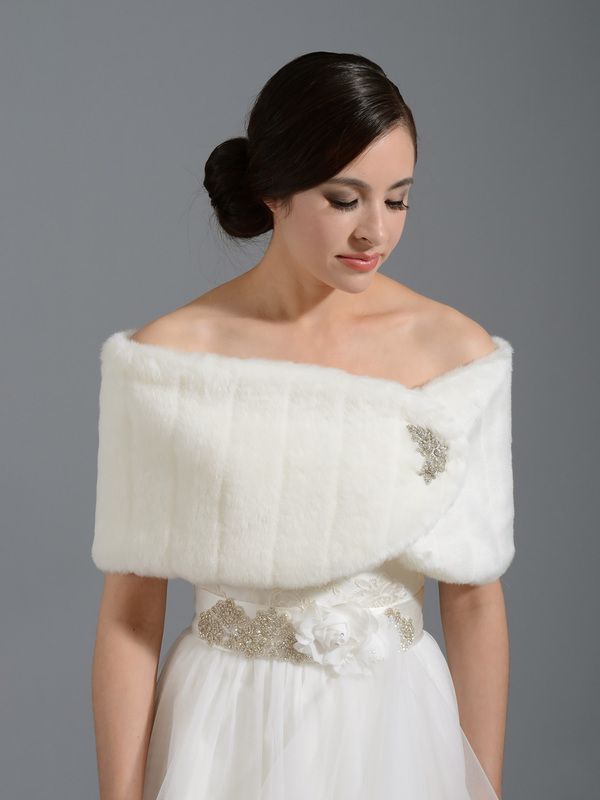 Wrap is of good quality for fake fur and looked really nice. THe pin was pretty but the stick to the pin bent easily so be careful! It would have been nice if there was an additional way to secure the wrap besides just the pin. Kept me warm enough in transition to and from the wedding.